Comment: Back porch roof with skylight is leaking. Needs to be sealed and repair ceiling and rotted facia. Have other areas that need to have soffit and facia replaced. 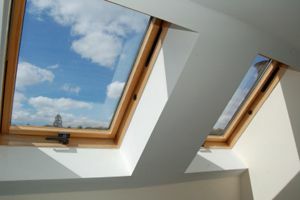 Comment: I am contracted to have a roof put on in the next few weeks and I will be replacing two existing skylights. Oklahoma City Skylight Contractors are rated 4.82 out of 5 based on 84 reviews of 3 pros. Not Looking for Skylights Contractors in Oklahoma City, OK?